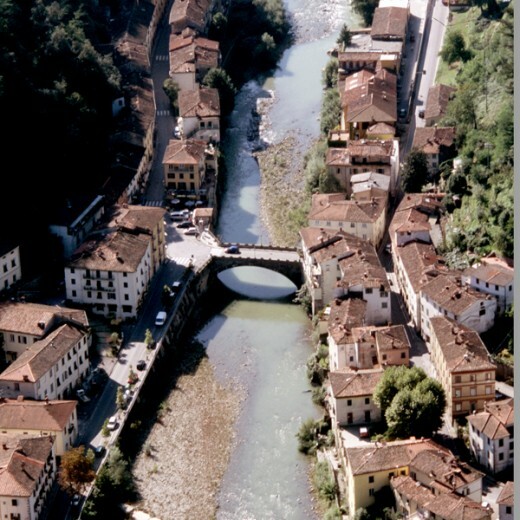 Ponte a Serraglio is situated 130 meters above sea level and is 300 meters from Bagni di Lucca. It strikes you for it’s beautiful and noble villas, like Villa Fiori built in the 19th century belonging to the baron Fiori, after extended and a small tower was added. 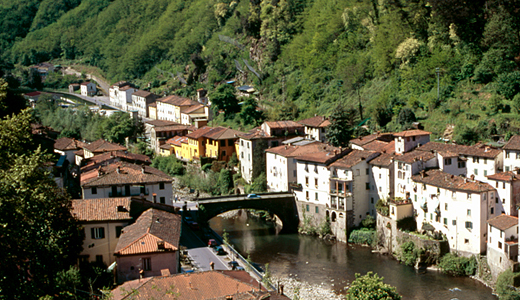 The stream Camaione meets the River Lima here anmd here we find the hospital and chapel Demidoff. The hospital was built in 1826 by the russian Prince Nicolaj Demidoff(1773-1828) and was designed by the engineer Pietro Ruelle. Nicolaj Demidoff arrived at Bagni di Lucca to cure his gout, and realised that the poor people needed a hospital so he financed it. He also built in 1831 a noe-classic style temple with a round roof on four pillars designed by the architect Giacomo Marracci. 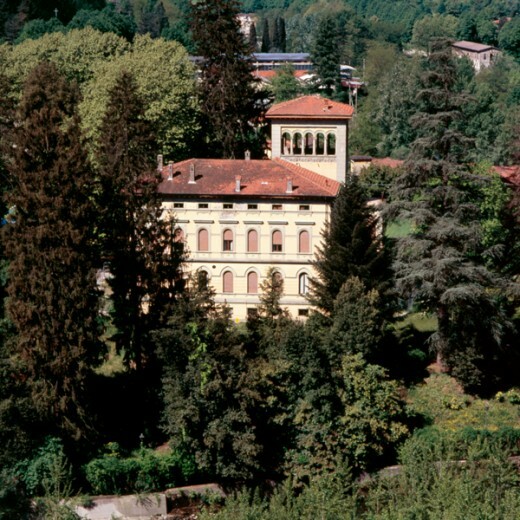 The hospital and temple where united by a wooden bridge(distroyed in 1836),then built in stone.This was designed by the architect Guiseppe Pardini in 1837 for the son of the prince Anatolj, fond of Bagni di Lucca like his father.The hospital stopped functioning at the beginning if the 19th century ,today it is a Centre for Oil Theraphy. At Ponte a Serraglio there is also a casino with a alarge terrance that faces the Lima and the old houses of the village.It was built in 1839 designed by Guiseppe Pardini, at the front face it has six half pillars and four pillars with four angles decorated with shiney musical instruments.At the middle a coat of arms of Borboni-Parma.The building has a lobby, a large room for feasts known as “dei gigli borbonici”, the room “lira” (once called sala delle signore), the gallery, a gambling room called “pavone”, a reading room (today a bar) and a billiards room. It was built by two french entrepreneurs Adrien Mathis and Edouard Ginnestet, they obtained the right to gamble from the Duke of Lucca Carlo Lodovico if they financed the building of the casino. They played at Faraone, alla Reale and the antique roulette, in the casino there was also dances, musicals and academy literature. In 1847 the dukedom of Lucca passed to the Grand duke of Tuscany and Leopoldo prohibited gambling so the casino closed. Beside the casino there is a three storey villa won in a lottery by the journalist Jules Janin, in this villa in 1825 the french poet and writer Alphonse de Lamartine and Gerolamo Napoleone, prince of Montfort, son of the brother of Napoleone stayed here. A little towards Fornoli there is a fountain “La Cova” that gushes out thermal water at 38°.Recently a walk bridge has been made over the Lima. 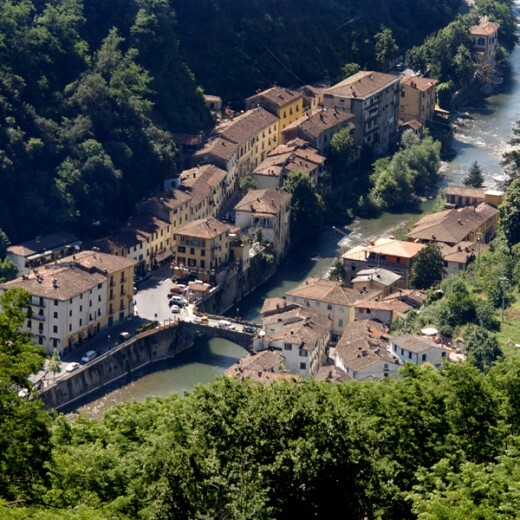 At Ponte di Serraglio there is also a Hotel de Russie made by Guiseppr Pardini in 1838 where the english writer Louise de la Ramée (called Ouida) stayed. The square is very characteristic, the nameplace Serrajule is in the documents of the year 838. The parish church is dedicated to the S.S.Crocifisso and was built in 1544, it was under the church of San Pietro di Corsena until it became independent in 1661. It has been modernized in 1930 theres an antique baptism fountain and a holy water pier.The cardinal A.Despuig (1745-1813) stayed here alot. The major alter is of marble and is dated 1752 made by Filippo, master marble worker of Carrara. Bruno Cherubini (1910-1976) essayist and historian.